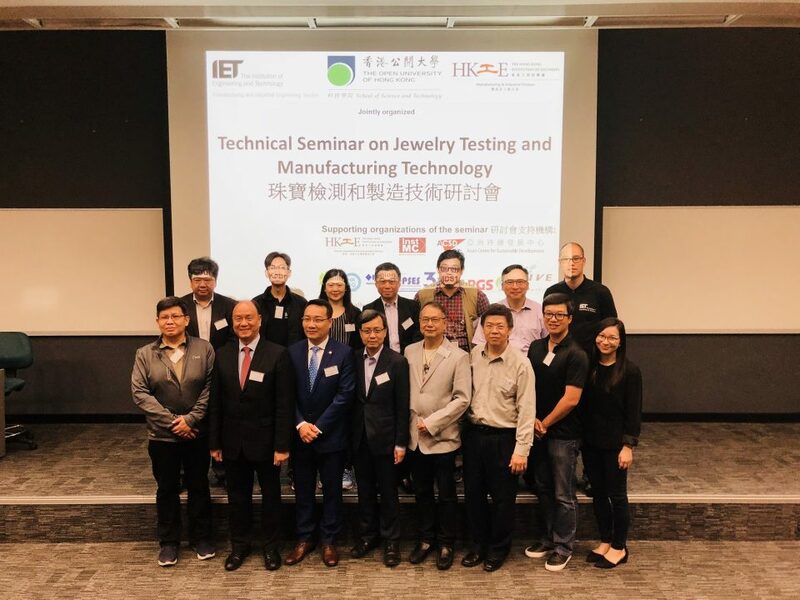 The Technical Seminar on Jewelry Testing and Manufacturing Technology was successfully held in the Open University of Hong Kong on April 14, 2018. The seminar was jointly organized by the HKIE – Manufacturing and Industrial Division, IET Hong Kong – Manufacturing and Industrial Engineering Section and the Open University of Hong Kong – School of Science and Technology. Totally 113 persons joined the seminar. In the beginning, Dr George Lau (Associate Professor and Programme Leader of Testing and Certification Programmes) delivered the welcoming speech. Three speakers were invited to present latest development testing technique, Gemstone manufacturing technology and Jewelry Design.